The Tories really did think they would surge to the winning line and leave Labour in their wake once more but if Wales is anything to go by a shock Labour victory could be possible and a lesson could be learnt in Ireland. 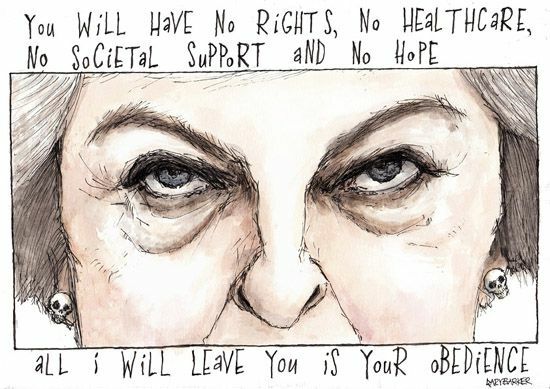 British prime minister Theresa May defended her policy dubbed the dementia tax in the UK but it appears the damage could have already been done as the party tried to claw back its dignity with a spectacular U-turn. Just four days after the party published its manifesto, including the unpopular policy – which would see the elderly who need care at home funding it themselves until their assets, including their home, dropped below £100,000 – the Tories were forced to change tact. “Nothing has changed” Ms May told the British press but it seems she couldn’t be further from the truth as Wales showed its ire with a 16-point shift in support towards Jeremy Corbyn. Labour is now 10 points ahead in Wales according to a YouGov poll. The poll shows Labour at 44 per cent compared to the Tories who are on 34 per cent. And meanwhile a staggering 90,000 young people registered to vote in one day in a massive boost to the Corbyn army. Labour is more popular among this group – 18-to-24-year-olds and without doubt the fact that Labour’s manifesto includes scrapping all university fees, has only helped the draw of Corbyn for the young. Ms May was forced to announce a last minute change to her elderly tax proposal, introducing an upper limit on the sum anyone will have to pay for care in their lifetime. However the amount of this cap is still very unclear, just as the damage this plan could have had on the Tory campaign. The Prime Minister told the BBC Mr Corbyn had been “scaremongering” and “playing on the fears of the older and vulnerable people,” of British society by slamming the tax but it seems the elderly and the young may be far from in agreement with the Tory leader. 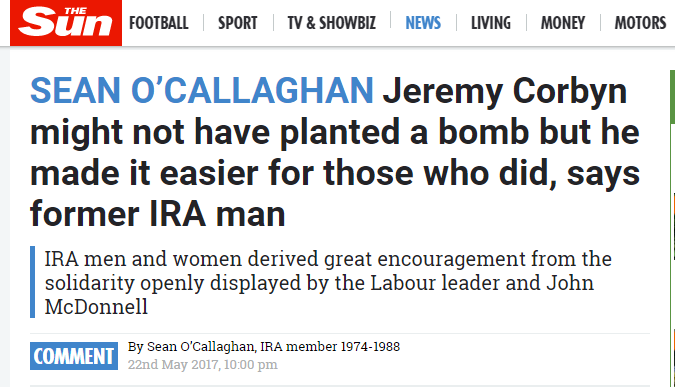 But meanwhile in an attempt to stick the knife into Corbyn’s campaign, one newspaper’s front page today seems to blame the Labour leader for helping the IRA continue its bloody campaign. To think that a British man, a socialist, would support murder, bombing and the victimisation of innocents, could hardly be claimed as credible but it does show how dirty this election has become and just how much is at stake.